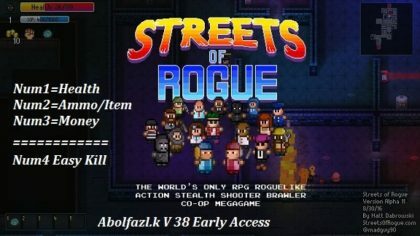 If you want to download Streets of Rogue Trainer for free, you can do it right on this page! This cheat works on the game version Alpha 60b and above. Trainer includes 5 different functions, using which you can get a big advantage in the game. 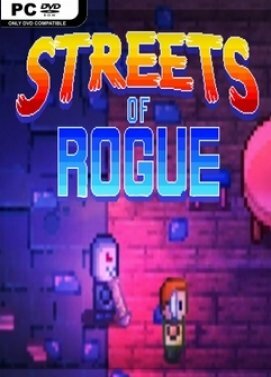 Streets of Rogue is a rogue-lite about player choice, freedom, and anarchic fun. The game takes inspiration from fast-paced top-down rogue-lites like Binding of Isaac and Nuclear Throne, and adds free-form, experimentation-driven, emergent gameplay elements of RPGs like Deus Ex.